As expected, the folks behind the Humble Bundle 4 added three new titles to their pay-what-you-want package of games that already included Badland, Breach & Clear, Catan, Riptide GP2, Vector, and Zombie Gunship. 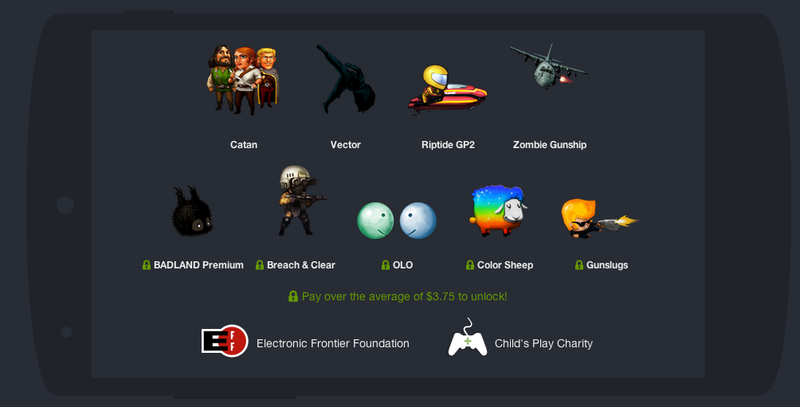 As long as you pay over the average price, which at the time of this posting sits at $3.75, you get all of the previously mentioned games plus OLO, Color Sheep, and Gunslugs. OLO is a multiplayer game that reminds of a mixture of Pong, shuffleboard, and air hockey, but with colors. Color Sheep is an arcade style game that involves…colored sheep, laser blasts, magical items, and big bad wolves. Gunslugs is a side-scrolling arcade game that will remind you of an early Nintendo shoot ’em up bossfest. Again, the deal is at least $3.75 and you walk away with 9 games. Do it.